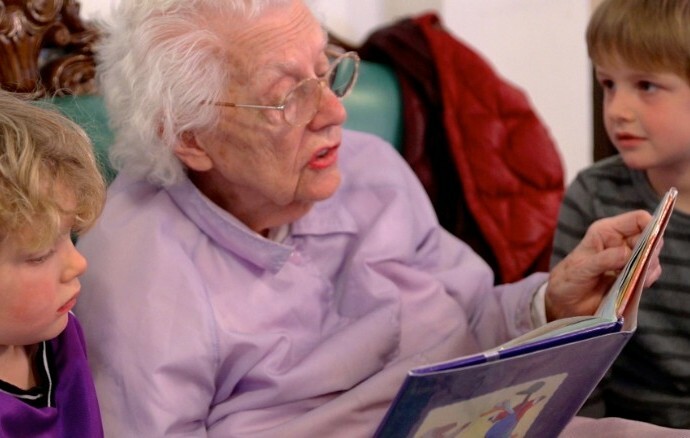 Have you ever heard of a pre-school being located in of all places a retirement home? Well apparently there are some 500 intergenerational programs at senior centers and long term care facilities across the country. And so a caring community has been created where young children and their elder friends get to talk, sing, read, dance and do art together. The kids receive a lot of unconditional love from their older playmates. And the youngsters add joy, laughter and meaning to the lives of the seniors. And like in any good relationship, they try their best to help each other in any way they can. That’s where the touching moments come that Briggs has captured in her film titled Present Perfect, where both generations fully relate to each other in the present moment. 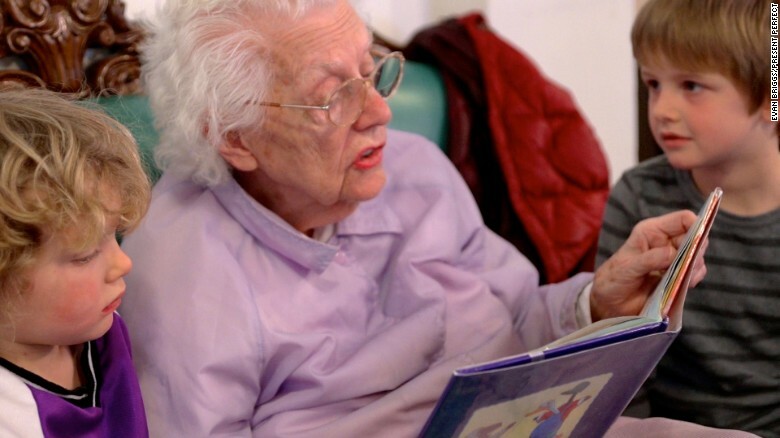 Briggs says, “…there is no reason this can’t be replicated anywhere.” She certainly hopes her film will inspire more communities to bring young and old together. What wonderful gifts they give to each other!